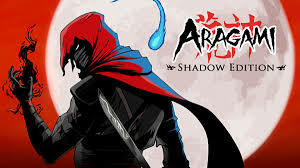 If you like stealthy ninja action/stategy games then you may be interested to know that Aragami: Shadow Edition is now available to pre order physically on the Signature Edition website. The Signature Edition comes with a load of cool goodies like an artbook, two enamel pins, numbered collector’s certificate, collector’s art card and a Soundtrack CD. You are Aragami, an undead warrior with the power to control the shadows. You’ve been summoned back to the world of the living by Yamiko, a girl imprisoned in the city fortress of Kyuryu. Embark on a dark journey full of blood and secrets to recover the broken fragments of your memories. Aragami: Shadow Edition will launch in February 2019 and carries a price tag of $39.99 / €39.99 / £34.99. The collector’s Signature Edition is available only on the Signature Edition website for $49.99 / €49.99 / £44.99 Stock is limited so if you are interested, you will need to be quick.